Save Up to 70% Off Today! We offer great deals on used cosmetic lasers and medical laser equipment. All of our cosmetic lasers for sale are fully reconditioned and are in excellent working condition. We sell all the top brands made by leading aesthetic equipment manufacturers. Cosmetic Laser Warehouse accepts trade-ins and we can also save you money on expensive cosmetic laser repairs. Click Buttons Below & View Inventory Now! Why Purchase Used Medical Lasers From Cosmetic Laser Warehouse? Largest online inventory of Used Palomar Lasers for Sale. Comprehensive Selection of Used Syneron Lasers and VelaShape machine systems. Hundreds of used cosmetic laser handpieces for Palomar and Syneron in stock. All Used Aesthetic Laser Equipment undergoes multi-point testing to ensure performance. We Repair Cosmetic Lasers & Handpieces. Our expert technicians can help you with comprehensive medical laser maintenance for all of your equipment. We also provide aesthetic laser repair services for base units and for handpieces using OEM parts. Thank you for making the purchase clean and easy. Getting the equipment you expect at a price that fits our budget. As good as it gets in this business! We have done many laser deals, each one is better than the last. They respond promptly to calls and emails, always an easy transaction. Very honest, easy to deal with; I would and will recommend to others thanks. Call 954.254.4612 today to take advantage of the cosmetic laser equipment specials below. We currently have fifteen (15) Palomar StarLux 300 lasers for sale. These are 2009 models and some have very low pulse counts! These used cosmetic lasers have been inspected and reconditioned by our laser technician specialists. These StarLux 300 lasers come bundled with your choice of 3 IPL handpieces. Handpieces have low pulse counts or have had new OEM flash lamps installed. Call today for more information on these great deals! We have an excellent deal on the Palomar Icon laser. This Icon is in like new condition and comes with three (3) IPL handpieces. All of these handpieces have extremely low pulse counts. The Icon is the next generation system after the StarLux 500. We also accept trade-ins. Contact us today for a Palomar Icon price quote. We have a full inventory of Icon handpieces and can put together a custom package to suit your needs. 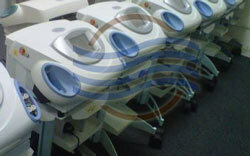 We currently have 9 Syneron eMax in our inventory. These units vary in age, usage and pulse counts. All have been fully reconditioned and are in excellent working condition. Our Syneron eMax specials include 1 DSL (diode) hair removal handpiece plus your selection of two additional IPL applicators. Contact us today for a Syneron laser price. We carry all of the Syneron handpieces and they have low pulse counts. We have several Palomar MaxG handpieces for sale for the Palomar StarLux 500. These Max G handpieces have been fully serviced and recalibrated. They also have very low pulse counts. Prices are based on age of handpiece and pulse counts. Call us today for a great deal on a Palomar Max G handpiece. and Syneron Laser Equipment and Handpieces. Call 954.254.4612. We Are Ready to Assist! Welcome to the Cosmetic Laser Warehouse. We are the leading aftermarket supplier of used cosmetic lasers and used aesthetic laser systems. The Cosmetic Laser Warehouse stocks a large selection of pre-owned cosmetic laser equipment and cosmetic laser handpieces. We are not medical laser brokers. Most websites on the internet are broker operated. This means they do not have any inventory on hand and will need to source the used medical lasers you need. This also results in paying a broker’s fee on any used aesthetic lasers you purchase. Why is the Cosmetic Laser Warehouse the premier choice for purchasing used cosmetic lasers and aesthetic equipment? Quick Turn Around Times: Unlike used equipment brokers, we stock an extensive amount of used aesthetic lasers and used cosmetic laser handpieces at all times because we buy the equipment outright. 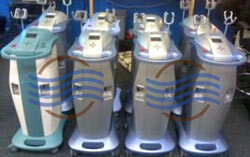 Therefore Used Aesthetic Laser equipment is available as soon as payment is received from our customers. We carry substantial inventory at all times so that we can ensure what you need is in your hands as quickly as possible. Quality Control: Every used laser in our inventory goes through testing and thorough maintenance. 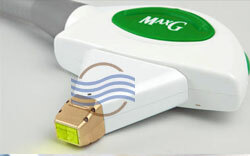 If it is not functioning to 100% OEM specifications, we do not sell it. Brokers simply “flip” their equipment with no quality review process. Lack of a quality assurance process is a major risk when dealing with brokers. Our on-site certified technicians are some of the most qualified in the industry. No Excessive Broker Fees: Because we own our inventory outright, we don’t charge any markup or additional broker fees. This is a direct cost savings to you the customer. When you purchase used aesthetic equipment from the Cosmetic Laser Warehouse, you eliminate the middle man. Are You Looking for a High Quality Palomar Laser for Sale? While the Cosmetic Laser Warehouse sells most leading brands of cosmetic lasers, we have become specialists in Palomar lasers due to our extensive network of industry relationships. These relationships include leasing and finance companies along with doctors and other medical laser suppliers. Because of these relationships we are able to source and maintain one of the largest aftermarket supplies of Palomar lasers. In fact, we always have substantial inventory for the Palomar StarLux systems, the Palomar MediLux and EsteLux. We also carry the Palomar Icon and Palomar Vectus laser to our inventory. and carry a full line of Palomar handpieces for these units. We never have just one or two Palomar lasers in stock. So if you are looking for a Palomar StarLux 300 for sale or Palomar StarLux 500, give us a call. We have ample inventory for your needs and excellent pricing. Are you looking for a great deal on a Syneron Aurora or the Syneron eMax? The Cosmetic Laser Warehouse always has multiple Syneron elos lasers in stock, including all handpieces such as the Syneron DSL and Syneron SR as well as their very popular VelaSmooth and VelaShape cellulite reduction systems. 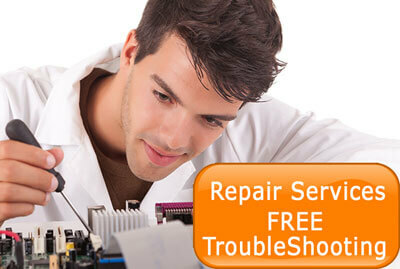 We can also repair any Syneron system or handpiece – replacement parts are always in stock. Most online and aftermarket dealers only carry one or two selected Syneron lasers by model. We have the ability to source a large volume of inventory, which we then inspect, test and certify for resale. You’ll always find ample inventory at Cosmetic Laser Warehouse. Save Up to 70%! Call 954.254.4612 Today. Leading Brands of Used Aesthetic Lasers Including Palomar & Syneron Lasers.